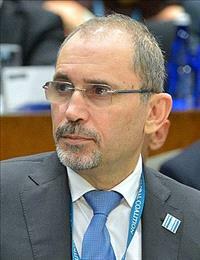 AMMONNEWS - Minister of Foreign Affairs and Expatriates Ayman Safadi Monday condemned Israel's announcement that it will build new housing units, legalize thousands of settler outposts and seize more Palestinian-owned land in the occupied West Bank for that purpose. The foreign minister called the Israeli move a blatant violation of international law and an escalation that will further raise tension, reiterating that the settlement activity is an illegal unilateral action that perpetuates the occupation and undermines peace prospects. He called upon the international community to take its moral and legal responsibility to put pressure on Israel to cease settlement building and all other illegal practices against the Palestinian people, which only exacerbate tension and violence that threaten regional peace and stability.